Unlike other renewable energy solutions the BioMax® system provides its users with a number of different opportunities to save money. 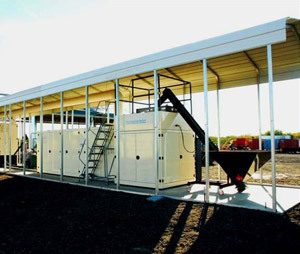 Those include: electric generation, heating applications, cooling applications, waste mitigation and liquid fuel production. The BioMax®’s flexibility is further enhanced by its 24x7 operating system that does not require the sun to shine or the wind to blow. These features coupled with the wide variety of biomass feedstock that can be process by a BioMax® make it the perfect solution for saving money.